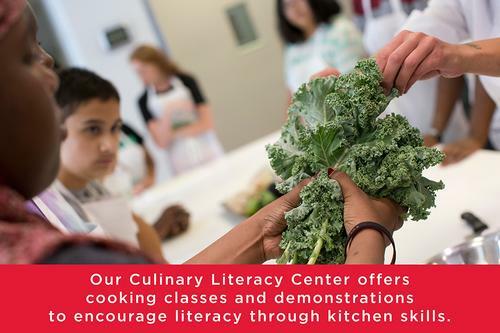 Opened in June 2014, the Free Library’s Culinary Literacy Center (CLC) is revolutionizing the way Philadelphians think about food, nutrition, and literacy. It aims to advance literacy in Philadelphia in a unique and innovative way—with a fork and spoon! The Culinary Literacy Center is a commercial-grade kitchen that serves as a classroom and dining space for Philadelphians. It is more than just a cooking school. Teachers can bring students to the hands-on lab, where librarians teach math via measuring, reading via recipes, and science via seeing what pops out at the end of the cooking process. Chefs of all ages can experiment with new foods, new tools, and new ideas. Join us and build individual skills through interactive, community-focused workshops and demonstrations – browse the calendar today! Our #FLPMyths social media series will attempt to dispel several library-related myths, and explain the truth behind these common misconceptions. Follow along on Facebook and Twitter over the next month, and of course, here on the blog! HI I'm really interested in learning more about the Culinary Literacey Center and programs offered. As I'm a recent Culinary training-student preparing to take my Serv Safe exam.